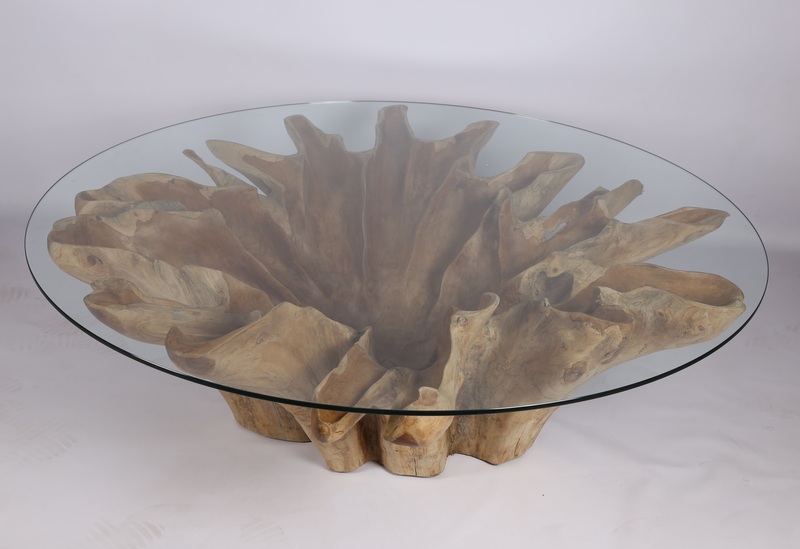 150cm diameter one off unique piece. 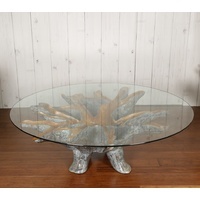 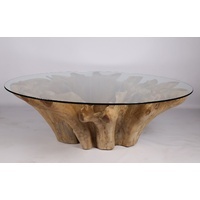 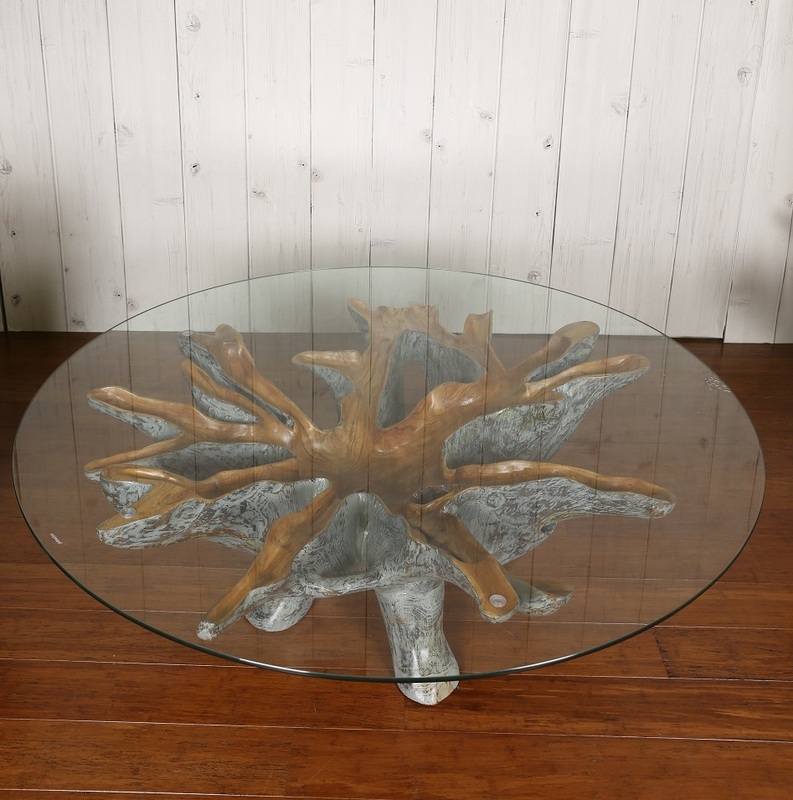 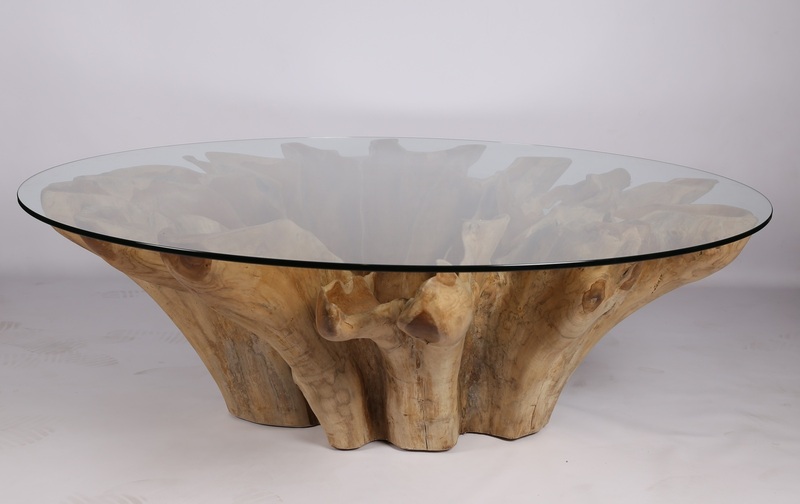 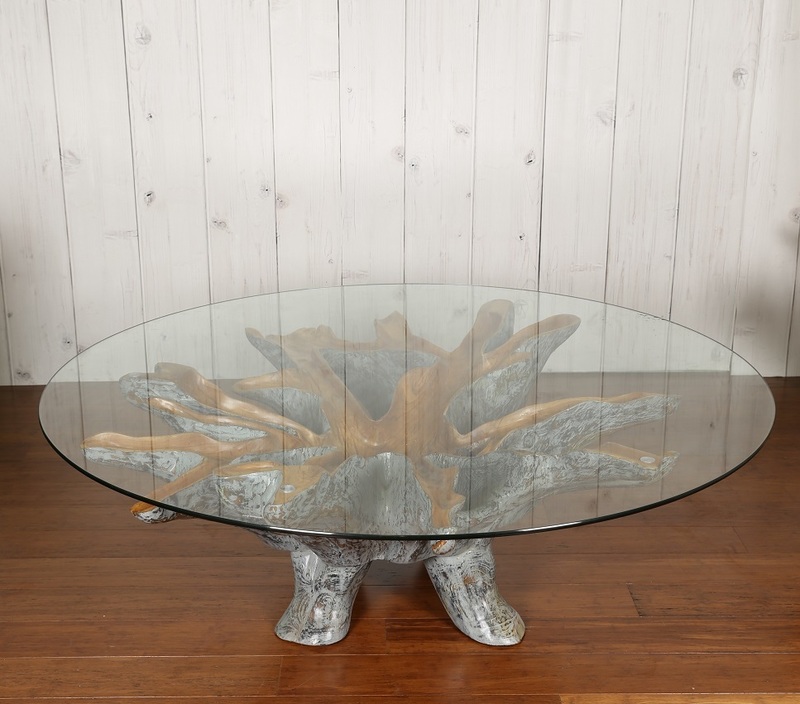 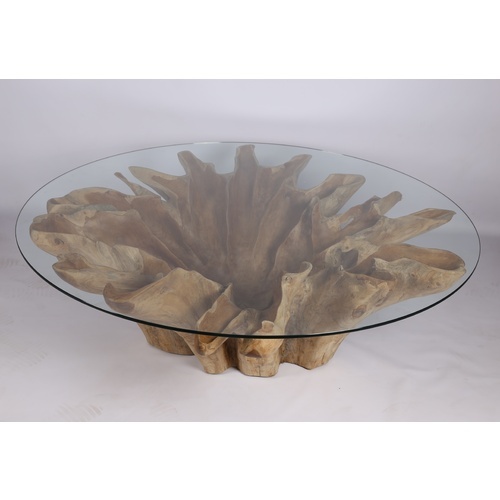 Unique individual pieces of reclaimed teak tree stump have been turned into a stunning coffee tables. 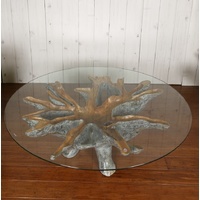 Custom size glass top available. 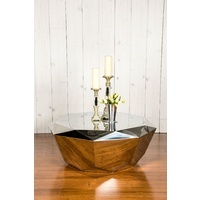 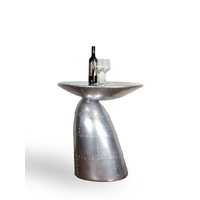 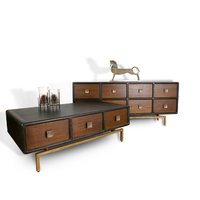 Visit our Brisbane showroom to see our full range of furniture.